Welcome to my Monday series to share card front designs that my team swaps with each new catalog. Our Occasions and Sale-A-Brations products have several somethings for everyone. There are so many very fun and delightful ideas and themes to create with that you will surely stay busy. This is my card front, using the "Sealed with Love: bundle. You can see the product bundle here. I really like the cutout hearts edge. The next photo showcases them as a card. Now it is mounted on a card base so you can see the actual card. 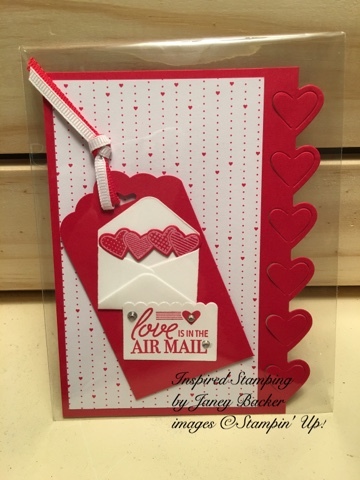 I layered it on a whisper white card base so that the real red heart cut outs and the focal point tag would POP with contrast. 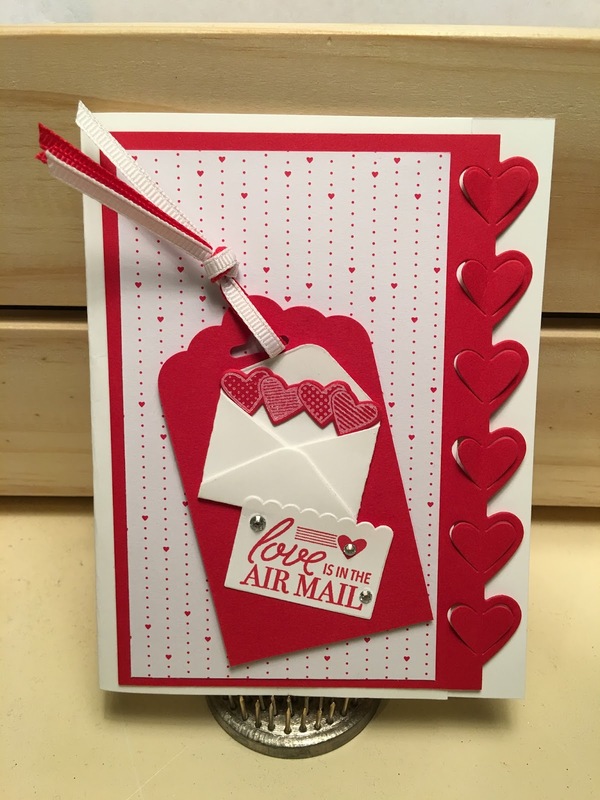 You will also notice the "Sending Love" Designer Series Paper Stack as the background layer. 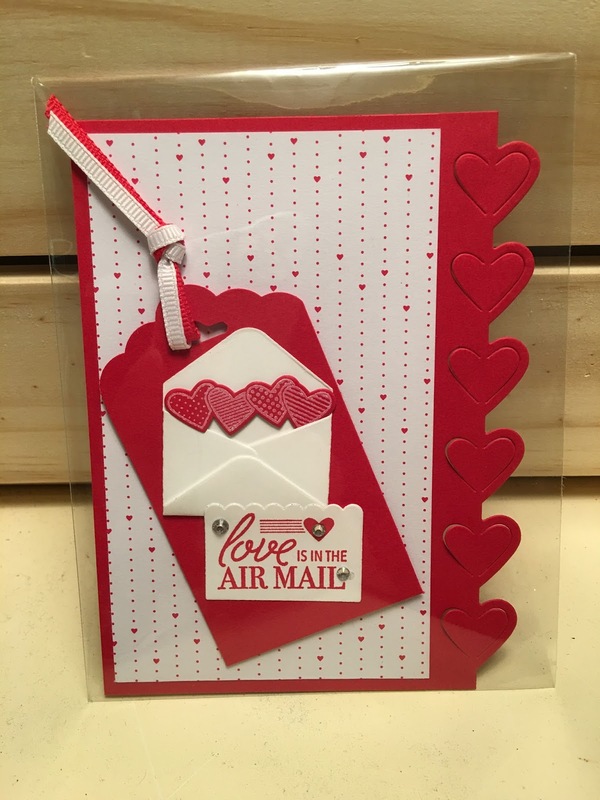 The "Suite Sentiments" stamps coordinate perfectly on the mini note card which perfectly fit the adorable mini envelopes. Wouldn't you like to use these to make your Valentine's cards this year? The coordination options make for easy combinations and there are so many ways to create with the ribbon, stamps, embellishments, paper and framelits.